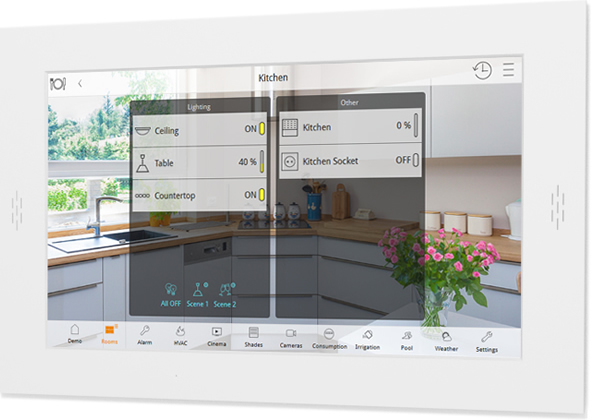 ComfortClick has launched Dozer, an elegant 22″ full HD Android-based touchpanel and visualisation centre for smart home building control. The Dozer frame extends just 5mm above the wall surface, giving it an especially slick and modern look. Its carefully-selected hardware, including integrated microphone, speakers and 22″ full HD touchscreen, ensure an efficient overview of the user’s smart home. 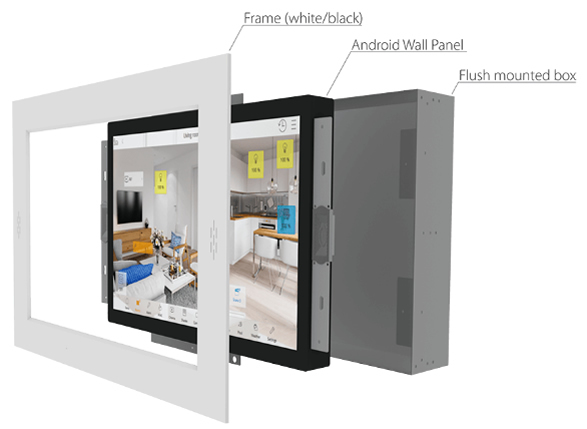 Being an Android-based wall panel enables users to install any Android app, which makes Dozer an open smart home visualisation device that is compatible with different smart home systems. It can be used together with ComfortClick servers or independently. Dozer isn’t intended only for high-end projects, but also for average residential houses where users want to control their home in style. As part of ComfortClick’s OEM program, Dozer can have the frame engraved with a third-party logo or symbol. In addition to being a smart home control and monitoring centre, Dozer can also serve as an internal IP intercom unit. Frame size: 602 x 372 x 5mm (WxHxD). Flush mounted box size: 590 x 355 x 100mm (WxHxD). Touch Display: 21.5″ (54.61cm) 1920×1080. CPU: Rockchip RK3288 – Quad core 1.8GHz ARM Cortex-A17. Disk size: SD card 32GB. Connectors: 1 x Ethernet port.